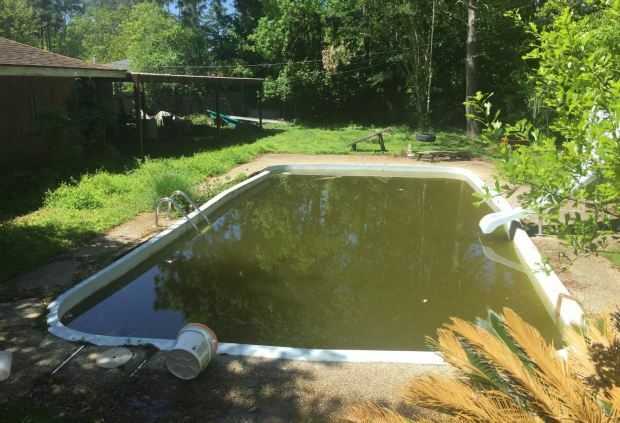 A Louisiana man was arrested for letting his 4-year-old son drown in a filthy pool covered with trash while he was getting high on drugs, police said. Zachary Brooks, 24, was in his Slidell home doing drugs as his son, Timothy Brooks, was left alone to drown in the pool of their backyard on March 5. “There is no doubt in my mind, no doubt in the investigators' minds, that the drug use and the deplorable conditions of the house and the way Timothy was being care for contributed to the young man's death,” Police Chief Randy Fandal said Wednesday. Cops responded to the home at around 6 p.m. where they found little Zachary unresponsive in the pool, police said. The boy was taken to a hospital where he died. The pool’s water was black and filled with debris. Brooks’ home had no running water, and there was animal feces and urine throughout the house. Drug paraphernalia and narcotics were also found in the home, police said. Brooks had custody of the boy after his mother was jailed on drug charges, the New Orleans Advocate reported. He was arrested Saturday on charges of negligent homicide and second-degree cruelty to a juvenile. He's being held at Tammany Parish jail on $200,000 bond.